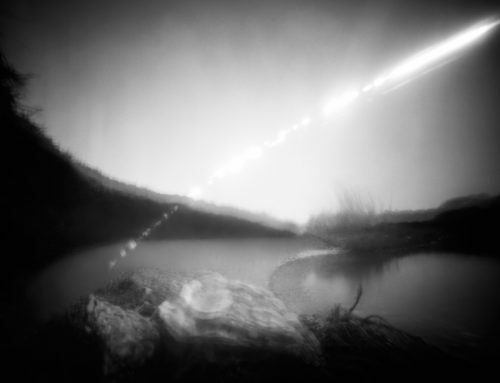 When I finished studying at art school, and I had just started to make pinhole photographs, one of my former teachers told me about the work of Tarja Trygg. 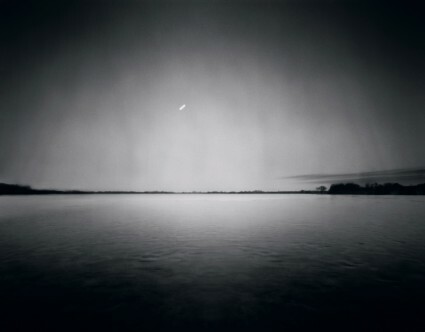 She is from Finland and used pinhole camera’s to document the differences in the path of the sun around the world. Anyone in the world could participate in her project. The only thing a participant had to do was to place a pinhole camera somewhere facing the sun, opening the pinhole and closing the camera after exposure by covering the hole with a piece of black tape. After this the pinhole camera was sent back to Tarja who took care of the rest. The technique she used for this purpose is called solargraphy which is an image made with a pinhole camera ( a can with just a little hole in it ) and a long exposure time. Inside the pinhole camera you use a piece of photographic paper which is sensitive to light. The exposure times can vary from one day up to six months. After exposure no chemicals are needed because the image is already visible on the emulsion of the paper negative. The overexposed negative can be scanned in a dim room and your image is there. The image will be in color even when black and white paper is used. The first solargraphs were published on the internet in 2000 by the pioneers of this technique which called themselves Solaris. There were three photographers involved Slawomir Decyk, Pawel Kula and Diego Lopez Calvin. Tarja was inspired by a workshop she did with them in Poland and continued with their project. Today it is a technique that is commonly used. You can see it everywhere on the internet and nowadays you read about it in the newspapers as well. Which is not surprising because it is a very interesting technique. It makes something visible that normally remains hidden to the naked eye. I tried it myself back then. 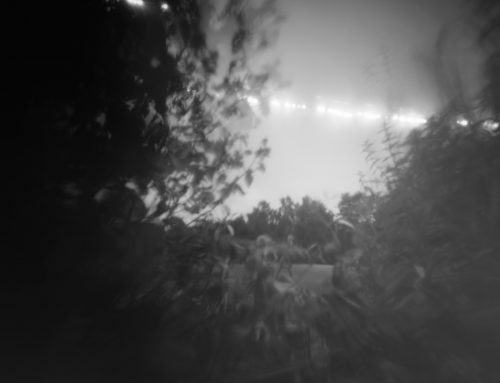 I placed a pinhole camera loaded with a piece of photographic paper towards the sun for a few weeks and I was blown away by the magic of this process. 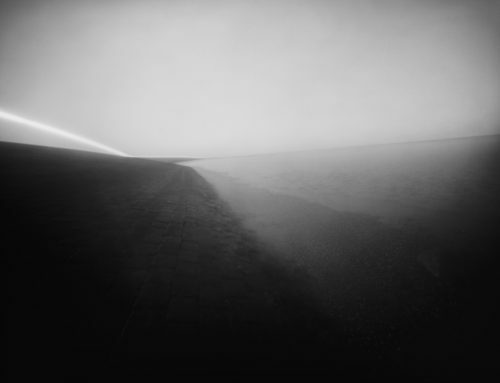 But at the time I was very occupied refining my own technique and knowledge about pinhole photography. So I forgot about solargraphy for a very long time. Until accidentally I made that one picture. I worked on an assignment to give my view on a local lake. For this purpose I made a photographic triptych in which I tried to draw a line between past and present. I did that by photographing the rising moon, sunset and sunrise. Quit moments in which you can feel a connection with the past. The image of the rising moon was made in the twilight so the exposure time was much longer than normal. About ten minutes to be exactly. Only after the development of the film I realized that the moon would be visible as a white line. I liked it and that was the moment that I remembered the solargraphs from many years ago. I started looking for possibilities to photograph landscapes with a one day exposure using film instead of photographic paper. I preferred film because it would show more detail. After some research I started experimenting with an exposure time of 12 hours using film negatives. In order not to overexpose the film I used several layers of neutral density filter to partly block the light. After many weeks of testing with different exposure times, film and neutral density filter combinations the first exposures were successful. I was able to show the path of the sun in my images of the landscape. I am still really happy to be able to show this lines in my landscape images and I refined the technique over time. But since patience is not always there and the technique is very very slow and not unique in its kind I developed a new technique to get the line in my images. I move the camera towards the sun after a two minute exposure. Its a different line which gives the images a different content. Although I love the cyclic movement of time and water and the contemplative nature of it. Because they act like metaphors to visualize the passage of time. As Diego Lopez Calvin says on his website: “The sun is a clock which invites us to think about our relation wit light, space and time”. The images are more and more about a dialogue with nature and the landscape rather than just the factor of time. 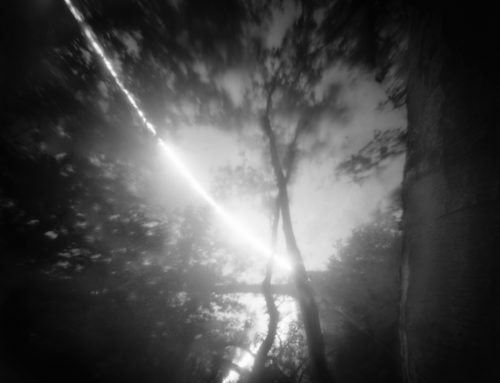 But it still all results from the inspiration I got by learning about solargraphy. So thank you very much for this Diego Lopez Calvin, Slawomir Decyk, Pawel Kula and Tarja Trygg.